Frontier Communications, the largest telecommunications company focused on rural America, aims to be a supportive neighbor and relentless ally for the communities it serves. Understanding the transformative economic impact of high-speed internet, Frontier has invested heavily in expanding broadband access in rural communities. Determined to help combat the challenges facing rural America, Frontier designed a program called America’s Best Communities (ABC), a $10 million competition to revitalize small towns with populations of 9,500 to 80,000. Those smaller than 9,500 could partner with adjacent towns to meet requirements. About 3,500 communities were eligible to participate. The multi-stage competition would provide $4 million in seed money and other support to assist communities as they develop new revitalization strategies. The top three communities — those with the most innovative proposals being effectively implemented — would share a total of $6 million in grand prize money. It was designed to be an attention-grabbing and tangible reflection of the work Frontier does every day to support local economies. America’s Best Communities was launched at events held throughout Frontier’s service area. Each event was covered by local media, and coverage from Associated Press, Fortune, Fox Business News and others spread across the country. 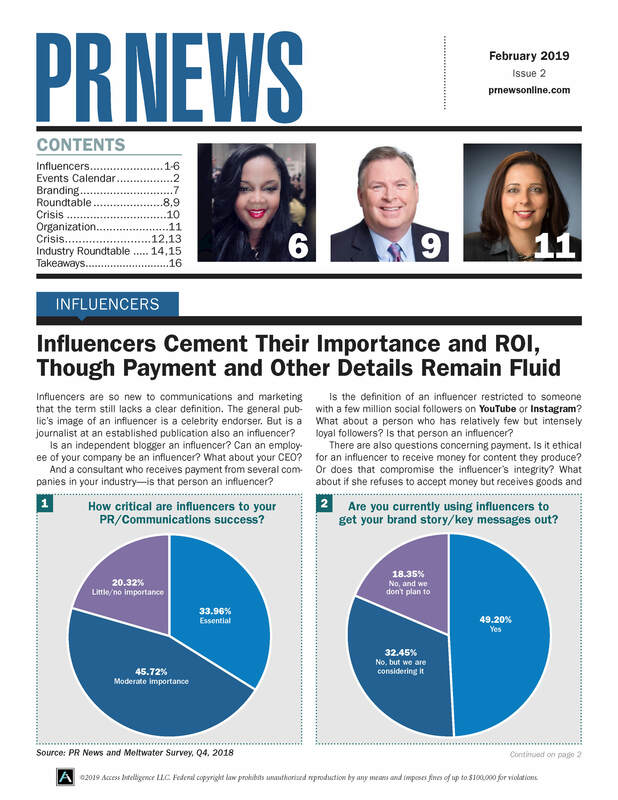 Following the launch, Frontier used media relations to provide updates on progress and milestones to local and regional media, online new sources, trade publications and national outlets. On social media, ABC shared organic content from communities, contest promotions, news coverage and economic development articles. Social media advertising efforts were launched to amplify reach, encourage engagement and drive traffic to the website. The strategic PR campaign has generated 706,467,616 impressions, with a total publicity value of $14,934,731. With many of those impressions secured through local print and broadcast media, this campaign also successfully connected ABC and Frontier Communications to towns and cities within its service area. On social media, the ABC Facebook audience grew to nearly 10,000 in less than a year. The page generated 1,726,786 impressions and 63,566 engagements, and 5.3 percent of people reached with ABC content engaged with it. Its Twitter presence also generated nearly 500,000 impressions. For the past four years, JetBlue has been helping to build awareness about childhood literacy with the Soar with Reading program. Launched in 2011, JetBlue’s Soar with Reading program was designed to inspire and encourage kids’ imaginations to take flight through reading. The program’s goal is to get books into the hands of kids in need. As literacy has been identified as one of the top social issues important to crewmembers, customers and the community, JetBlue is working to help foster a love of reading from an early age. In its first four years, Soar with Reading donated more than $1,250,000 worth of books. As it entered into its fifth year, JetBlue faced the challenge of differentiating the 2015 Soar with Reading program and truly making an impact in the communities it serves. JetBlue devised a strategy to dispense free, age-appropriate books to children via vending machines. Based on the research, which found Washington, D.C. to be a devastating book desert (only one book for every 830 kids), JetBlue launched the first-of-its-kind Soar with Reading book vending machine pilot program in the area and committed to bringing 100,000 new books to this community. The Soar with Reading 2015 program was ultimately a tremendous success, providing JetBlue with national recognition for this CSR initiative. The campaign garnered more than 564 million traditional earned media impressions and more than 107 million social impressions solely amongst media and education influencers. • Anthem Foundation - Hands Only CPR: Training 100 Million People to the beat of "Stayin' Alive"